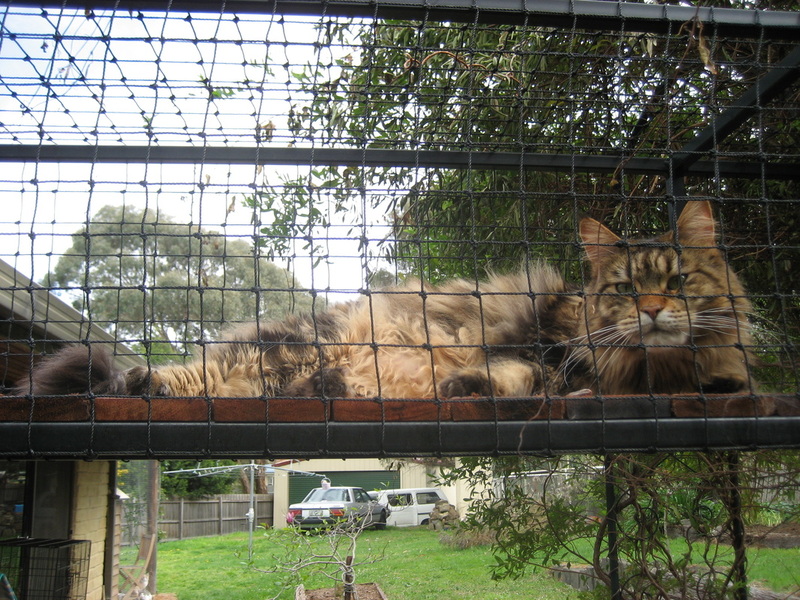 Like most breeding catteries it is unavoidable that some of the cats need to live outside. 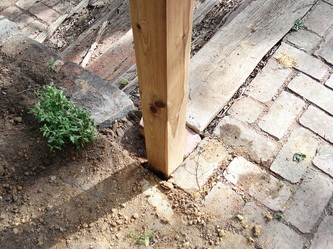 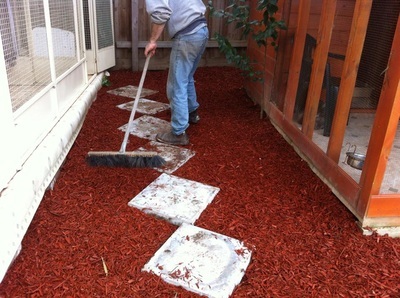 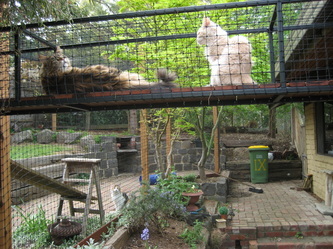 Entire breeding cats can often mark territory with urine (Studs AND Queens) and so alternative housing is required. Cats also need to be kept in small groups to keep stress levels and associated health issues to a minimum. I have tried to make my outdoor cats homes as comfortable as possible. 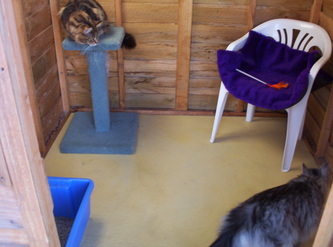 They have roomy runs with chairs, shelves, scratch poles and warm sleeping quarters. 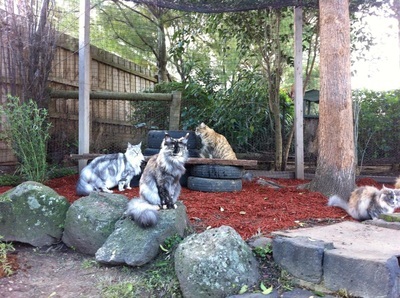 I spend time with them sitting on their chairs while they sit on my lap! 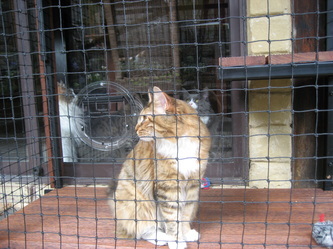 The housecats are truly spoilt with unrestricted access to the Garden Enclosure through a Cat Flap. 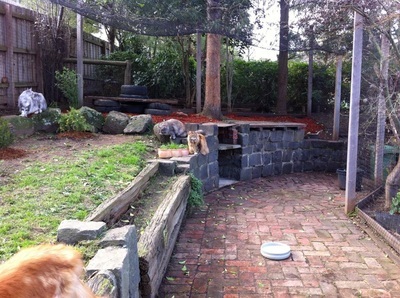 There they have room to run, climb trees, sunbake on the paved BBQ area and chew on the grass. Here are some photos of where our cats live. 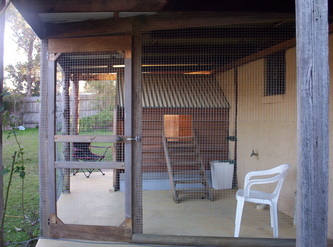 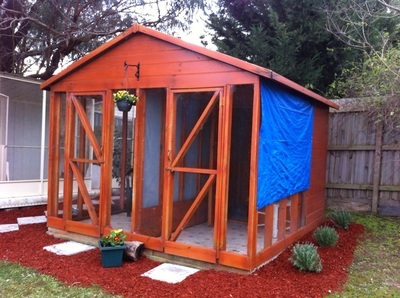 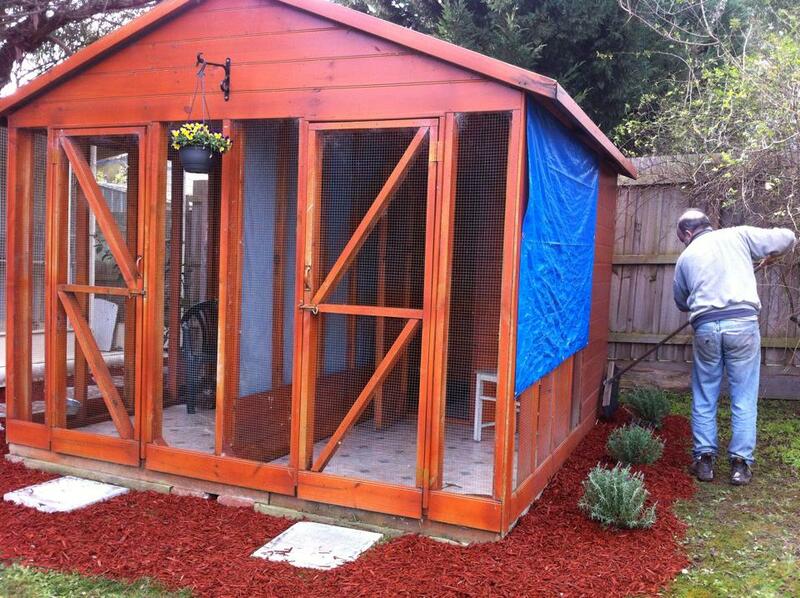 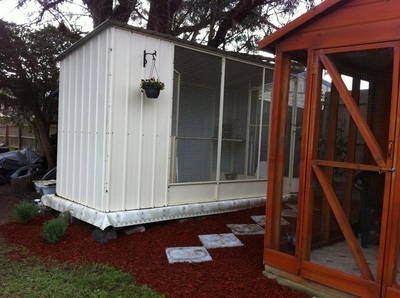 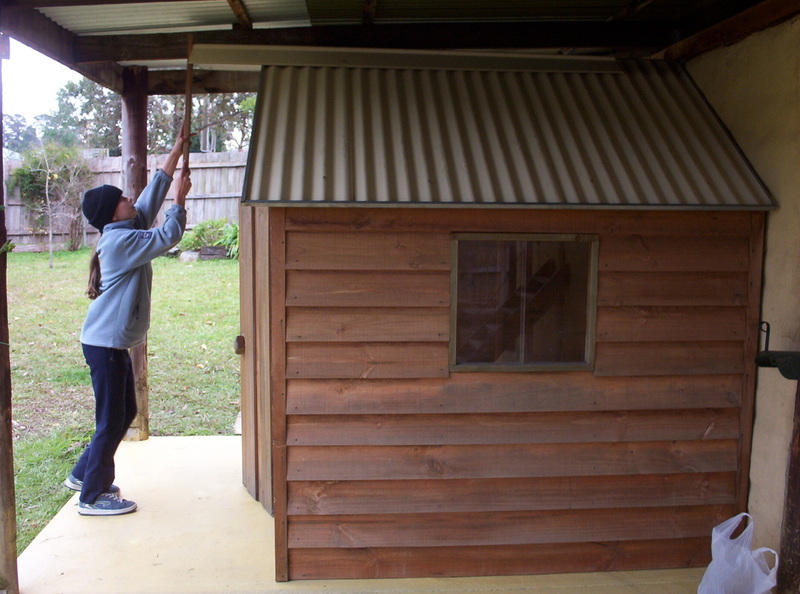 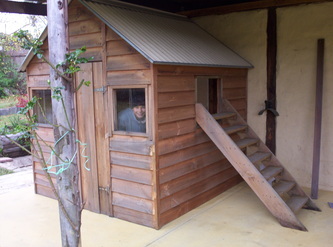 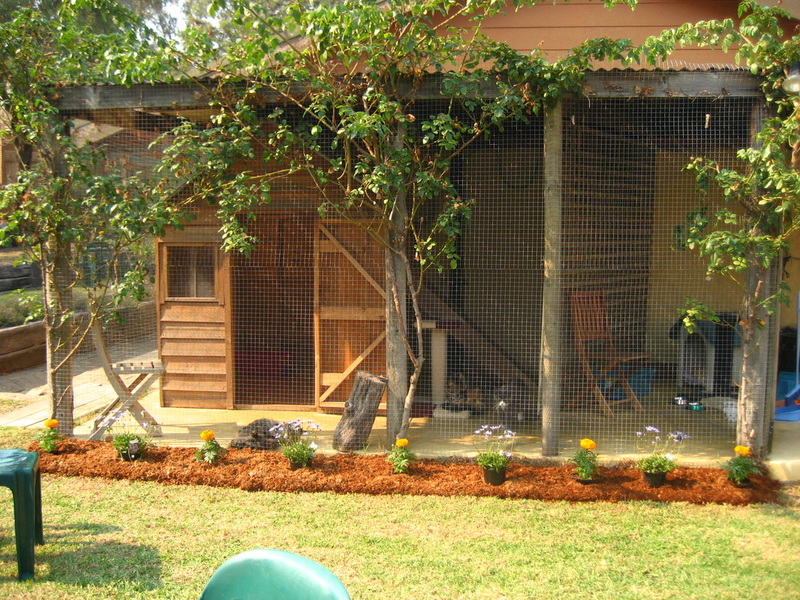 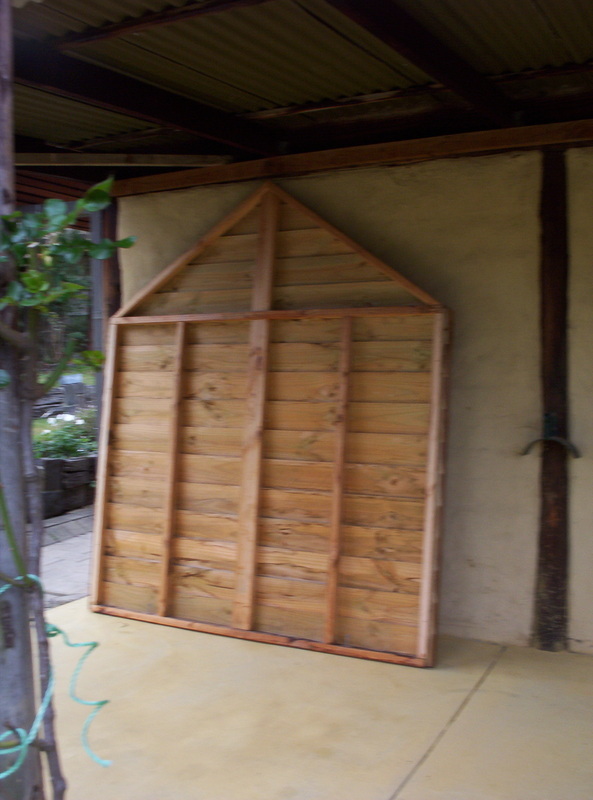 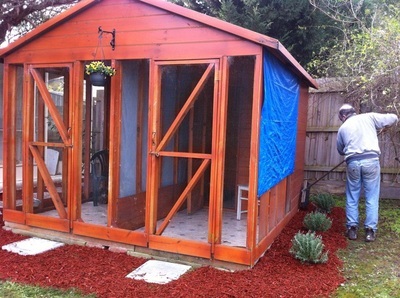 This was the first enclosure we built back in 2002 in preparation for the arrival of my first boy from the UK. Today it is divided and one of my boys lives in the smaller section and 2-3 girls live in the bigger section. 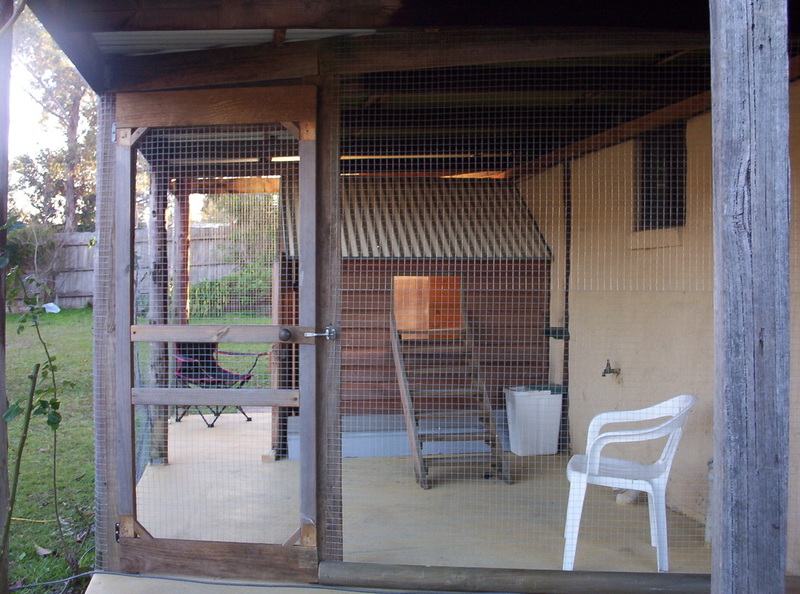 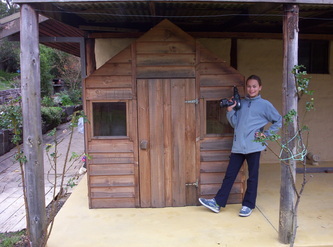 It was important to us that this enclosure blend in with our rustic Mud Brick home and we love the way it has turned out. 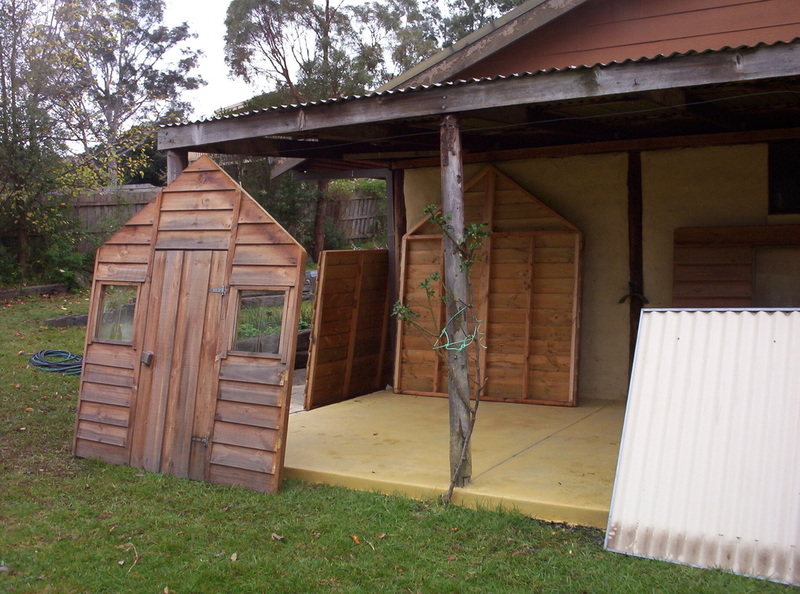 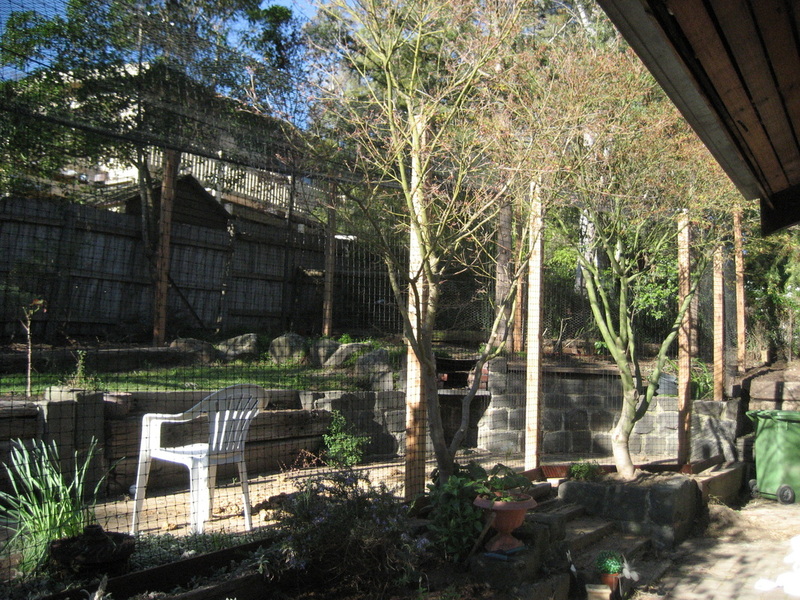 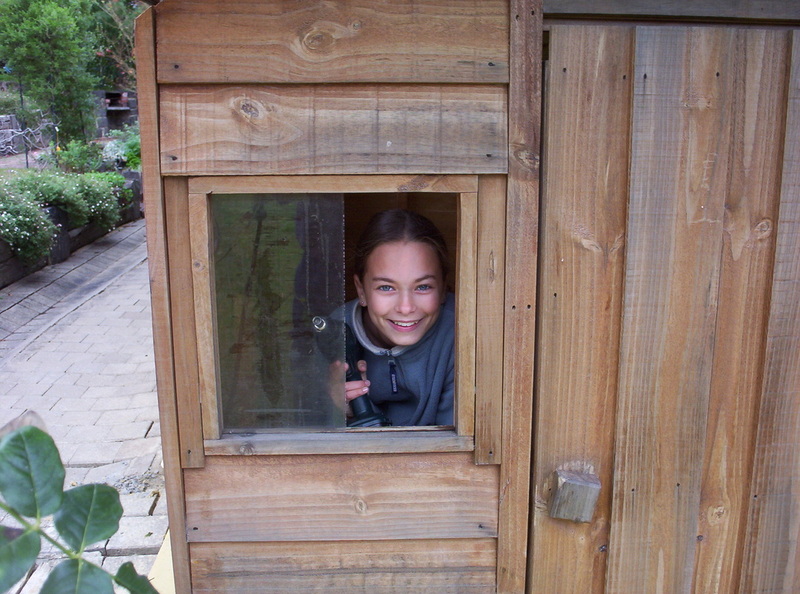 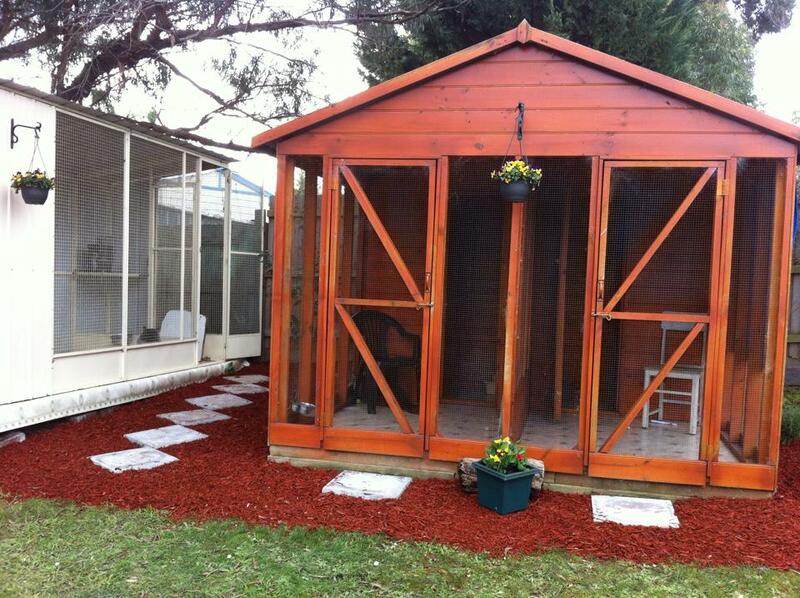 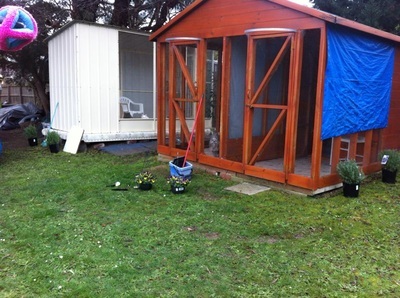 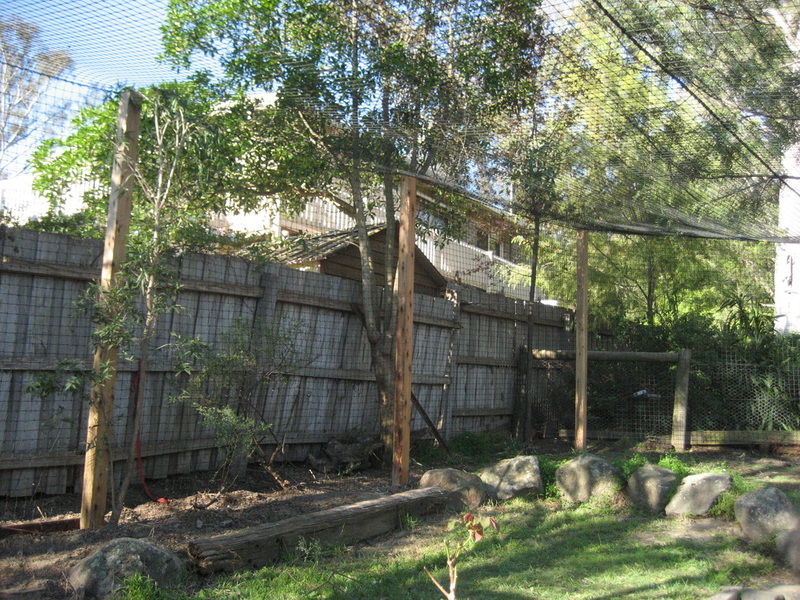 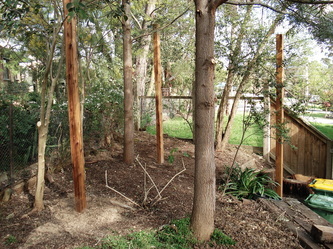 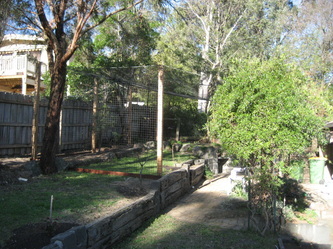 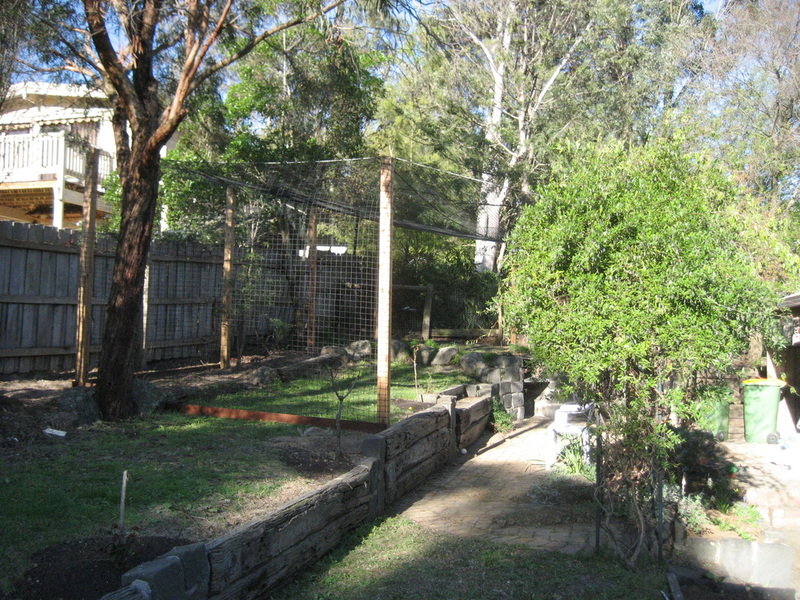 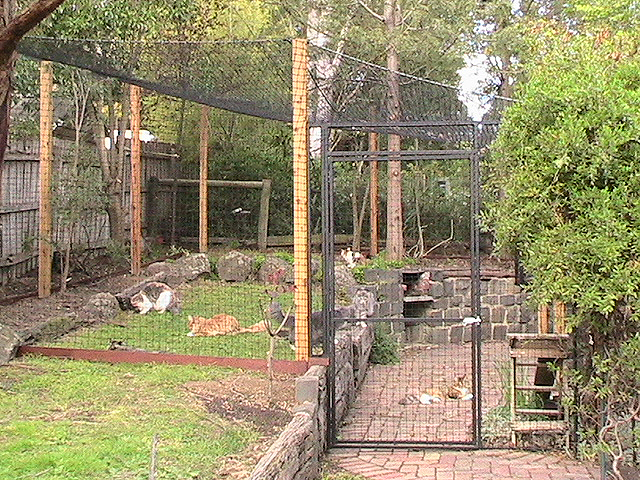 In 2007 we contracted our wonderful Garden Enclosure to be built. 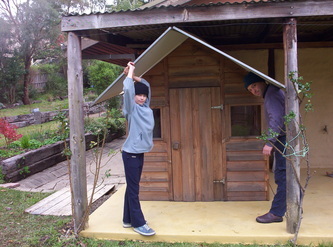 It has been the best thing we have ever done! All our house cats have 24 hr access to this large section of our garden in which they can run, play, chase, climb trees, sunbath and generally have the time of their lives. 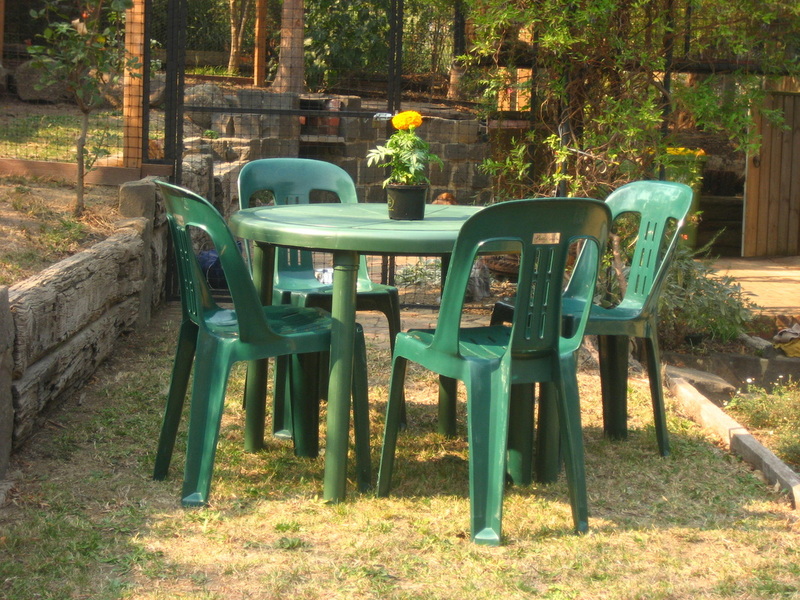 The peace of mind knowing that they are completely safe and that our local birds and wildlife are also safe from being hunted by the "fierce" Rumplteeza Gang is fantastic! 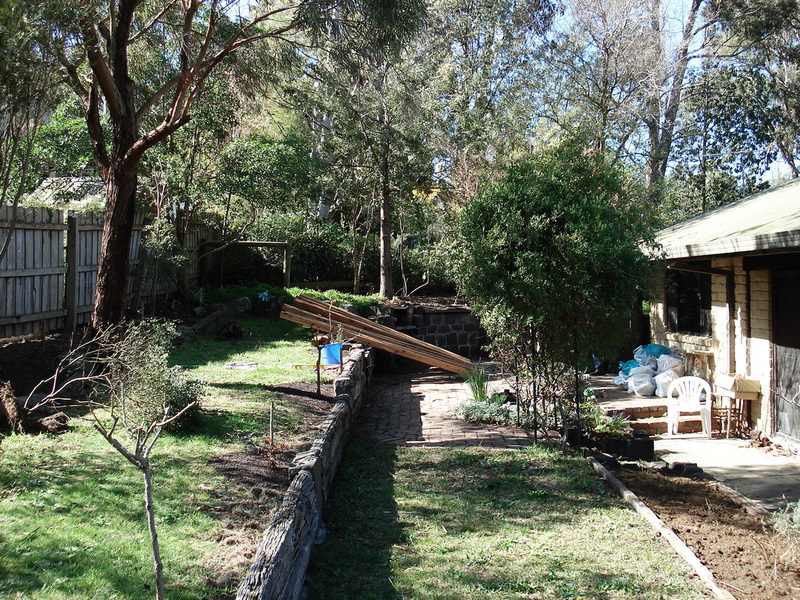 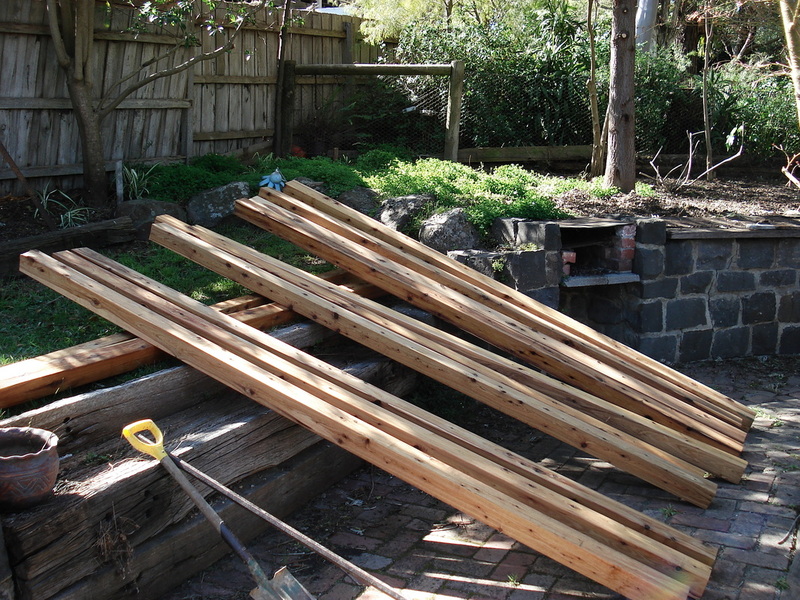 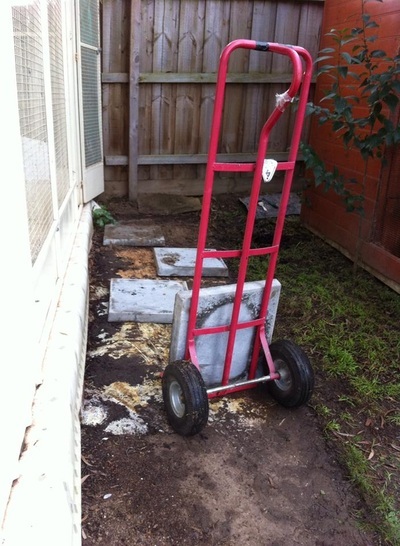 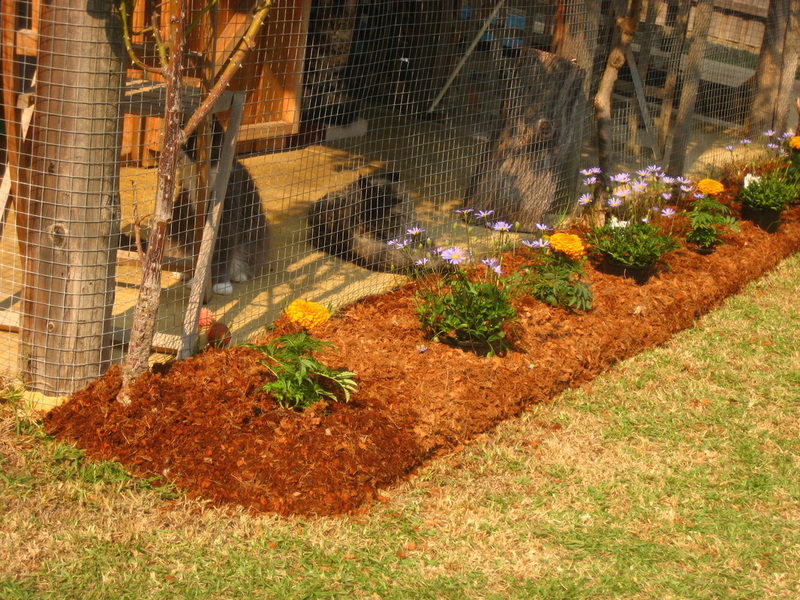 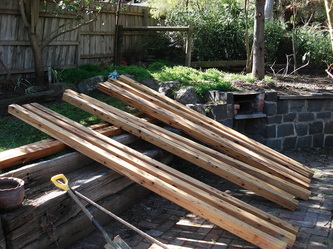 In preparing for our final Council inspection for our Town Planning Permit, we gave the garden a much needed refresh. It was lovely to see the picture in my mind become a reality with just a bit of mulch, pavers and plants. 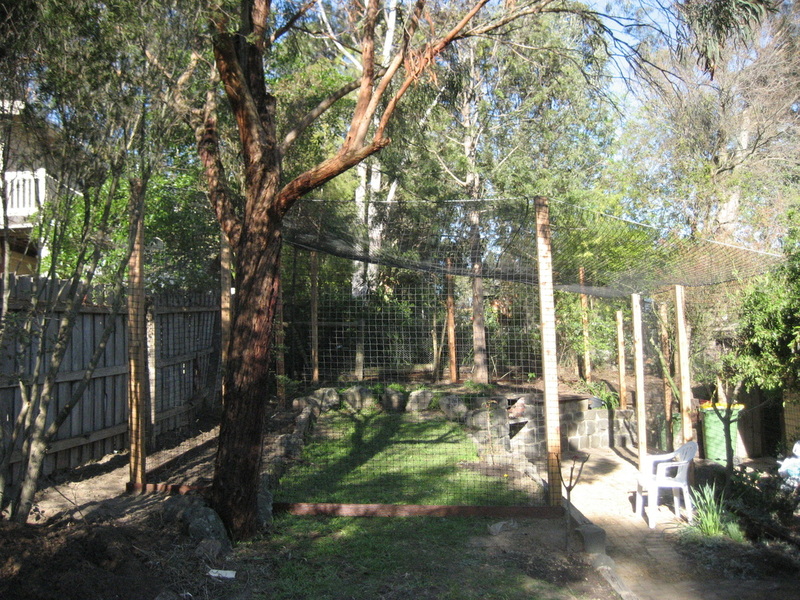 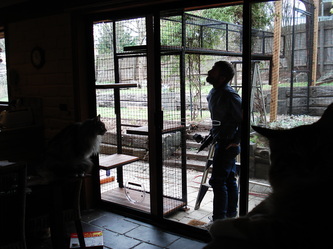 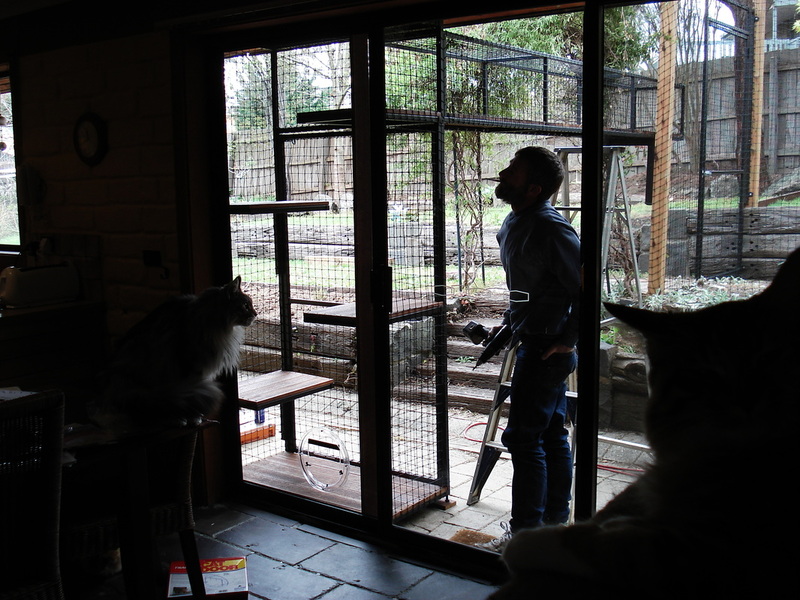 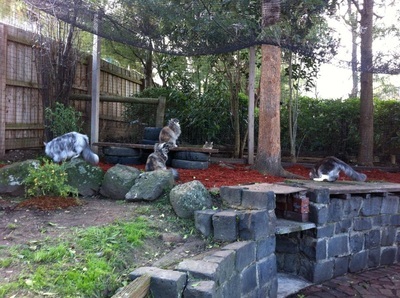 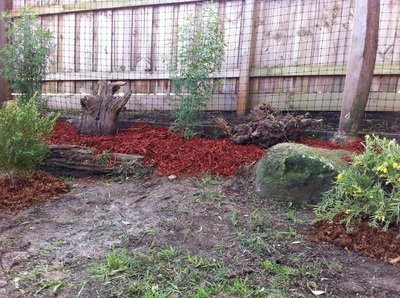 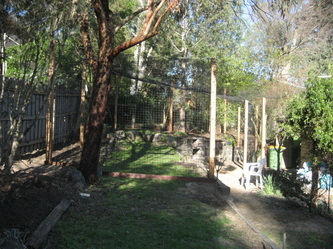 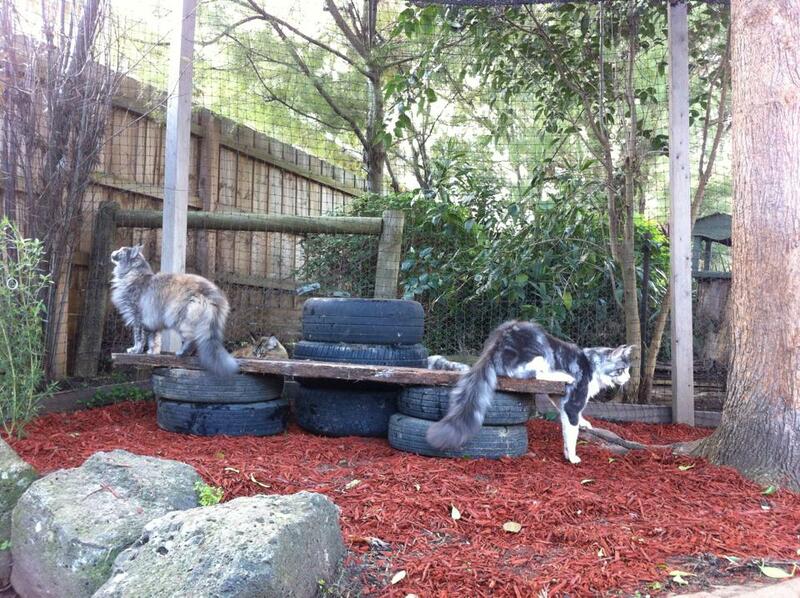 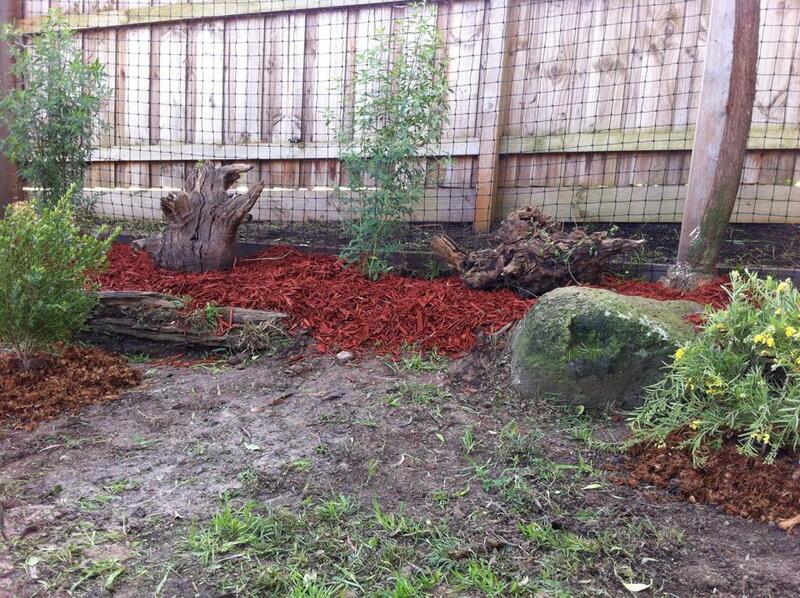 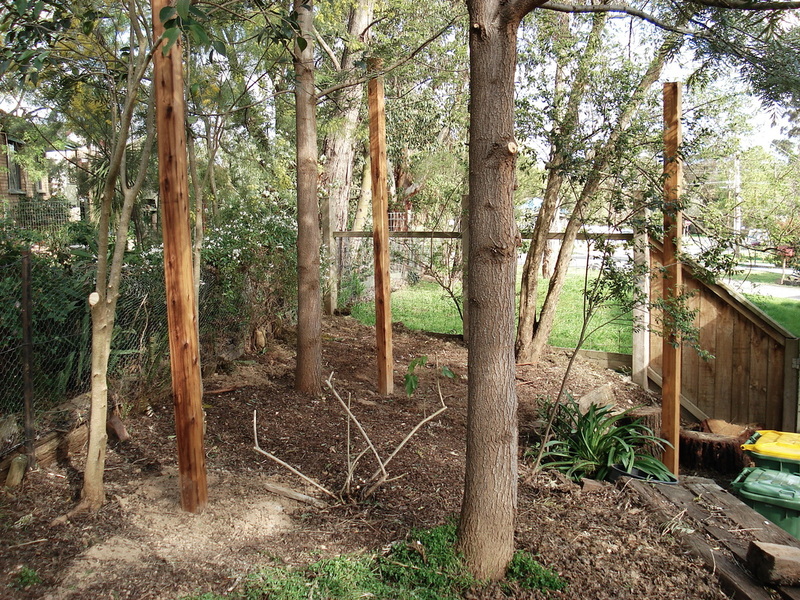 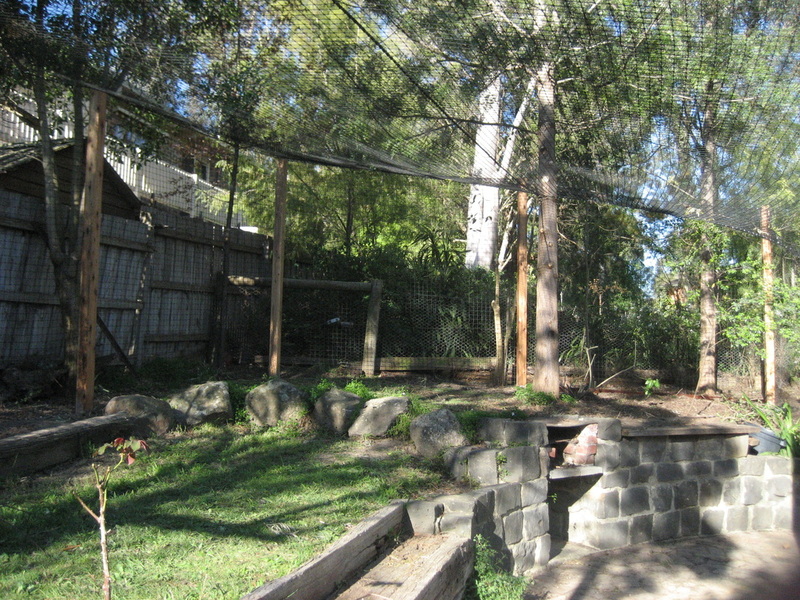 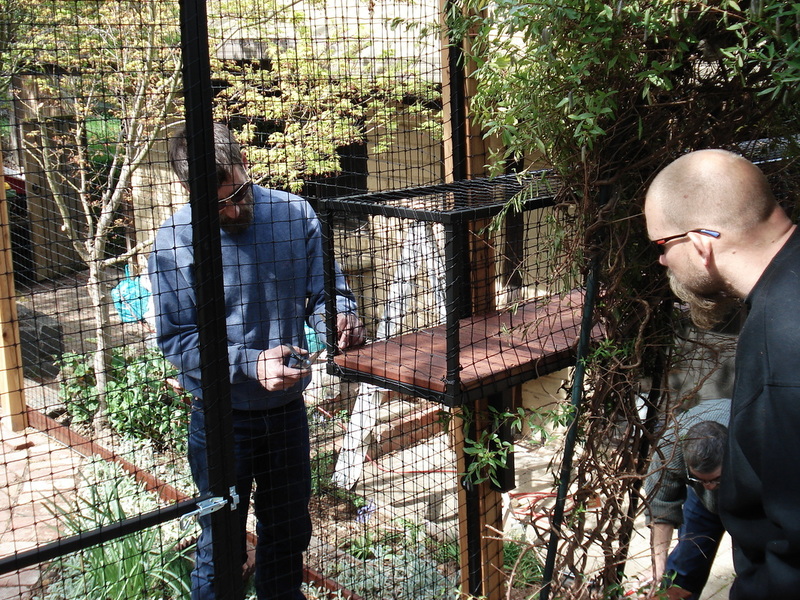 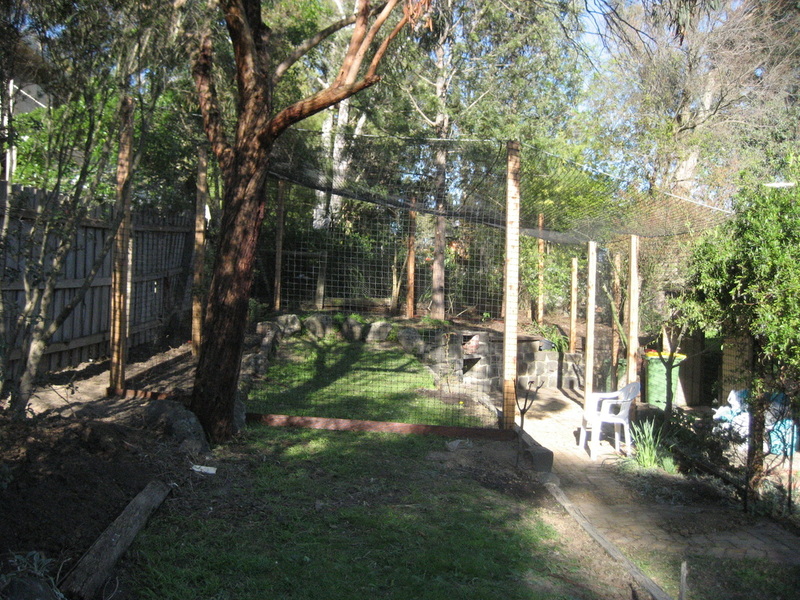 The housecats loved their mini makeover of the Garden Enclosure with the addition of their little jungle gym. 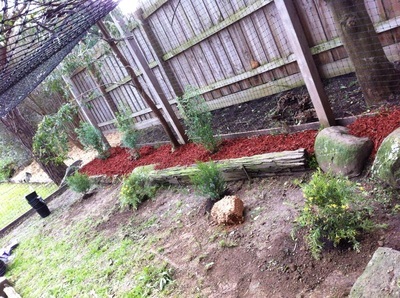 2 days work and very satisfying results!